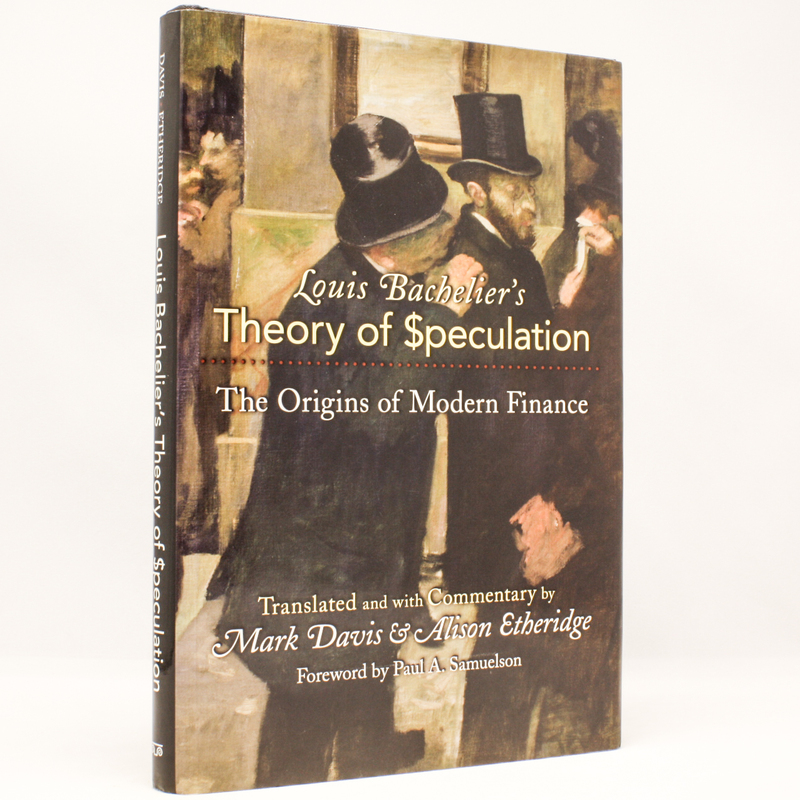 Louis Bachelier's Theory of Speculation: The Origins of Modern Finance - IFA Vintage and Current Book Library - Index Fund Advisors, Inc.
Aside from providing an accurate and accessible translation, this book traces the twin-track intellectual history of stochastic analysis and financial economics, starting with Bachelier in 1900 and ending in the 1980s when the theory of option pricing was substantially complete. The story is a curious one. The economic side of Bachelier's work was ignored until its rediscovery by financial economists more than fifty years later. The results were spectacular: within twenty-five years the whole theory was worked out, and a multibillion-dollar global industry of option trading had emerged.